Multi-sensory storytelling offers the opportunity to connect with those who find it difficult to communicate verbally. A range of stories have been developed to enable the voice of lived experience and access culture. Some of our stories deal with sensitive issues, such as growing up and separation anxiety, while other stories tell folk-tales. In addition, sharing personal digital stories can support service design, training and consultation. These have been effective in changing policy and attitudes around people with PMLD. Most of all, we have fun telling stories in the community. You can access our multi-sensory stories through the PAMIS Library, and these can be borrowed by families, schools and day-centres. A society where everyone is accepted, included and involved. 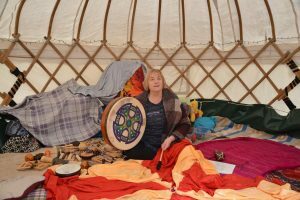 The Spirit of Stories was developed by Maureen Phillip in 2017 for PAMIS and provides training and development in multi-sensory storytelling. Working with children and adults with profound and multiple learning disabilities, their families and all staff who support them in a fun and creative way the courses offered aim to facilitate relationships and connection through storytelling. 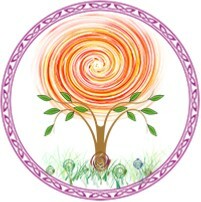 Here at the spirit of stories you will find a world of wonder, where you can travel with your senses to a world of play and adventure, where relationships and connection lie waiting to be discovered. Storytelling is one of the oldest art forms in the world and multi-sensory storytelling offers people with profound and multiple learning disabilities the opportunity to participate in this art form. Multi-sensory storytelling opens the door to creativity and connection for people to achieve connections they may not have thought possible. Real Lives-Real Stories; creating individual stories about events in someone’s life helps them share their life experience with others and also helps with understanding difficult topics. Creating individual stories for people also helps with understanding how the person communicates, what they like to do and everyone loves to be in a story! The Spirit of Stories works with schools, day opportunities and families to help develop stories for individuals and group. Development sessions and courses are offered regularly and forthcoming courses are coming soon. At the Spirit of Stories we believe that everyone is a storyteller and we develop courses and events where people with profound and multiple learning disabilities are the storytellers. 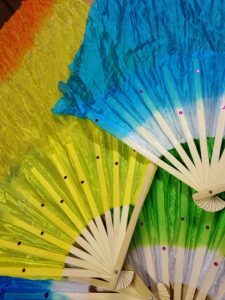 Here we use reality theatre, music and costume to create stories that educate, enthral and entertain audiences. 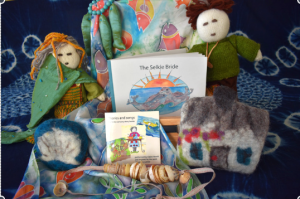 Stories from the oral storytelling culture or your favourite books can all be enjoyed by people with profound and multiple learning disabilities if they are made accessible. PAMIS have worked with storytellers from the oral tradition and with the Edinburgh book festival to help make cultural stories, books and events accessible to people with profound and multiple learning disabilities. 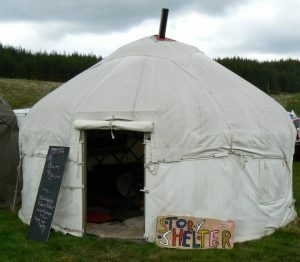 You can often find us at schools, celebration days, friendship clubs and Camp PAMIS telling stories in our yurt. Poetry, sound and art are all part of the storytelling work at the Spirit of Stories and working in partnership with poetry lover, artist and voice facilitator Vivienne Crichton, the Spirit of Stories offers the opportunity for family carers and people with profound and multiple learning disabilities to work with sound, poetry and art in order to offer creative opportunities that contribute to improved well-being both practically and emotionally.